This book explores the skills of communication and assertive behaviour and how they enable openness and honesty to be brought into a relationship. 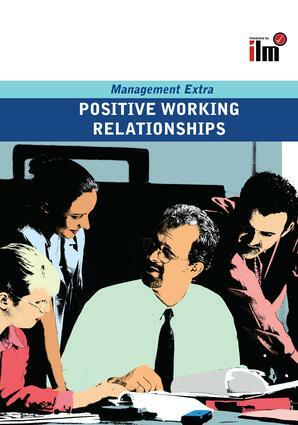 It looks at how to develop better working relationships by applying these skills in three specific areas: negotiations, meetings and conflict management. Communicate to connect; Behave assertively; Make meetings productive; Negotiate win-win solutions; Recognise and manage conflict; References. Stuck for ideas, inspiration or just want to work differently? Management Extra brings all the best management thinking together in one package. The books are practical and well structured to provide an in depth treatment of these management topics. The series fuses key theories and concepts with applied activities to help managers examine how they work in practice. The books are created with individuals in mind. They are designed to help you improve your management skills. Management Extra can also be used in conjunction with management programmes of study aligned to standards. Each of the books has case studies, self assessments and activities all underpinned by knowledge and understanding of the frameworks and techniques required to improve performance. Management Extra provides managers and trainers with a handbook for action and development.